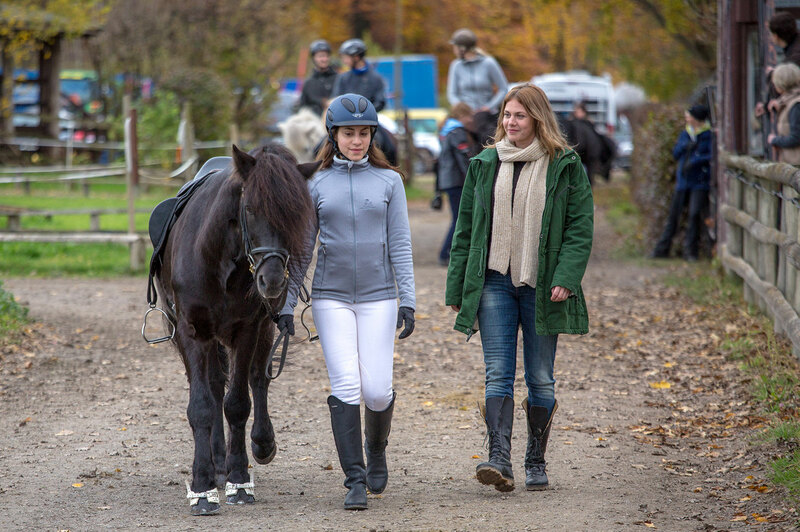 After a run in with the law, Aylin, a 17yr old muslim girl part of the Turkish Diaspora finds herself sentenced to community service at an out of town horse stable in Germany. Beset by troubles at home and school, it is here that she, despite all odds, is set on the road to self-discovery. As the pace quickens her blossoming relationship with the stallion Hördur and her fledgling dreams are tested to the breaking point. Can Aylin build a bridge between worlds? And if she can, will others follow? Story: Aylin, is a 17 year old Muslim girl living in Mannheim, who has taken over the running of the household and caring for her little brother Emre (5), following the tragic death of her mother. As the pressure builds at home, a run in with the school bully pushes her over the edge. The pent up emotions come out in a sudden rush of violence landing Aylin in court, where she’s sentenced to do community service at an out of town stable. It is here that she forms an unexpected bond with the seemingly cold-hearted stable owner, Iris (34). 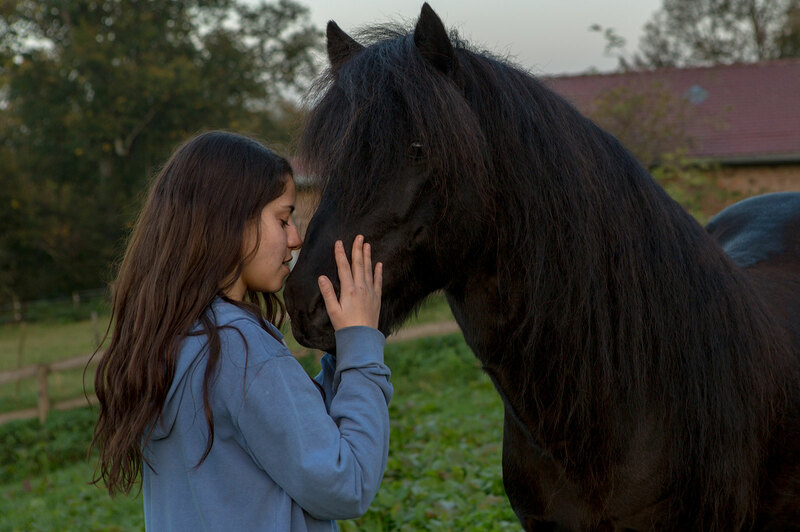 Like many other girls her age, she becomes mesmerized by the horses, and one in particular; the stallion Hördur. As time goes by the friendship between Aylin and Iris develops into an enriching student/mentor relationship. Aylin and Hördur become a promising team. Iris even decides to enroll Aylin in the upcoming competitions. When her father finds out about this he is furious. But with Iris’s support she keeps training secretly while her father’s work situation and the problems at home get worse. Just when all seems to be looking up for Aylin, her father, overcome by grief and humiliated at work, decides that they will all return to Turkey to start afresh. Devastated by this sudden turn of events Aylin decides to take one last desperate chance to take control of her destiny. Taking Hördur she runs off into the night. Her rash decision culminates in a showdown with her father where he is forced to come to terms with his daughter’s dreams. Dreams whose roots lay in the land she calls home, Germany. 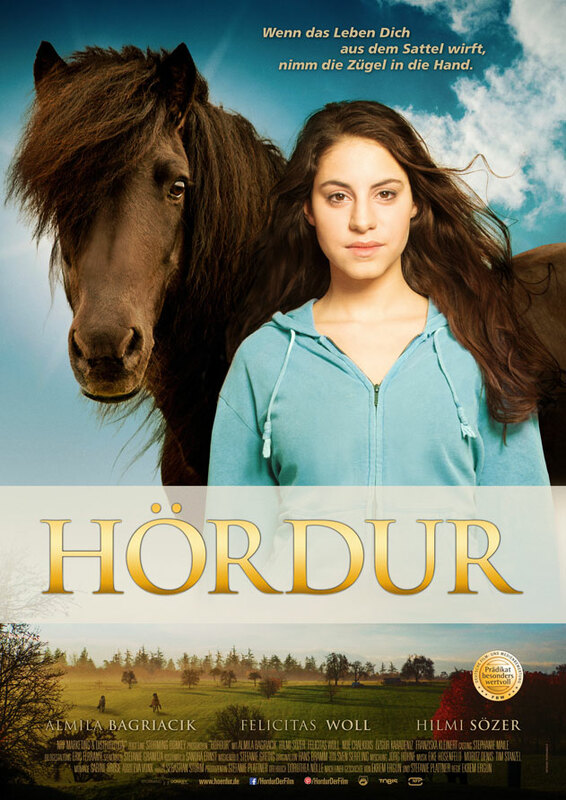 Hördur is a film about the magic of riding horses and accompanies the rebellious Aylin on her way to a self-confident and self-determined life. Hördur is the feature film debut of director Ekrem Ergün. Ekrem is a child of Turkish guest workers and a trained actor. The screenplay for Hördur is written by Dorothea Nölle, and the story by Ekrem Ergün and Stefanie Plattner.